“Asked around but no legit writers know who he/she is,” he said. ORIGINAL POST: A Mission mural that was tagged earlier this year with the words “Latino art only” has been targeted again. 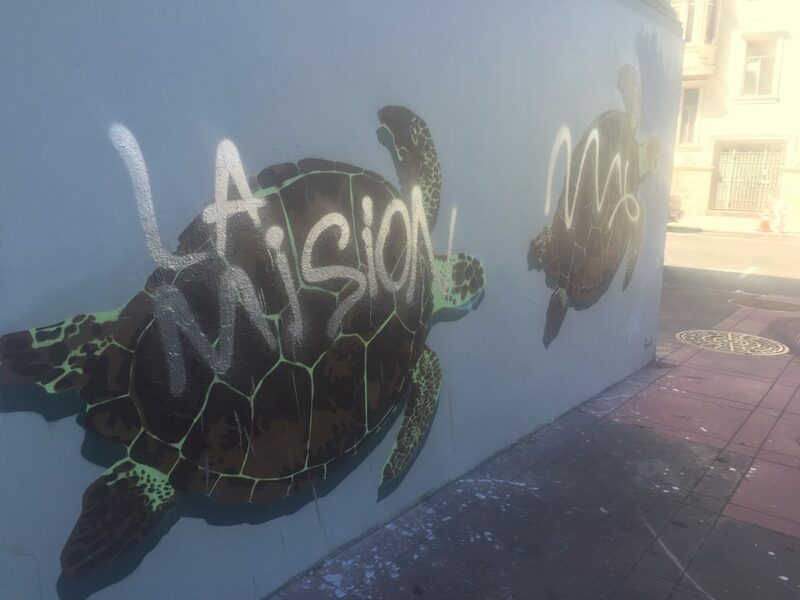 Someone used silver spray paint to deface artist fnnch’s sea turtles, stencil art that extends along one side of the PG&E substation at 19th and San Carlos streets. A walk by the mural Friday found scribbles and x’s across some of the turtles and the words “La Mision” written on at least one of them. The mural, which went up in March, was defaced with the “Latino art only” graffiti back in May. The new graffiti was still there as of Sunday, but fnnch has said previously that he will repair any damage. 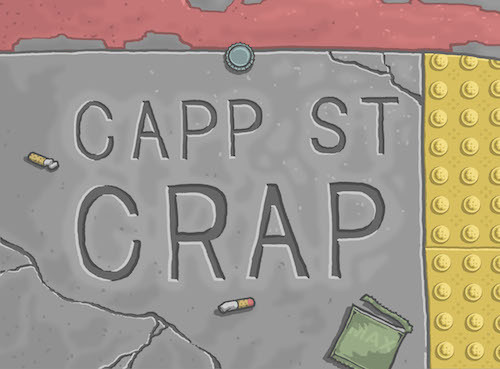 This entry was posted in Art and literature, news and tagged in art, fnnch, graffiti, mural, turtles.